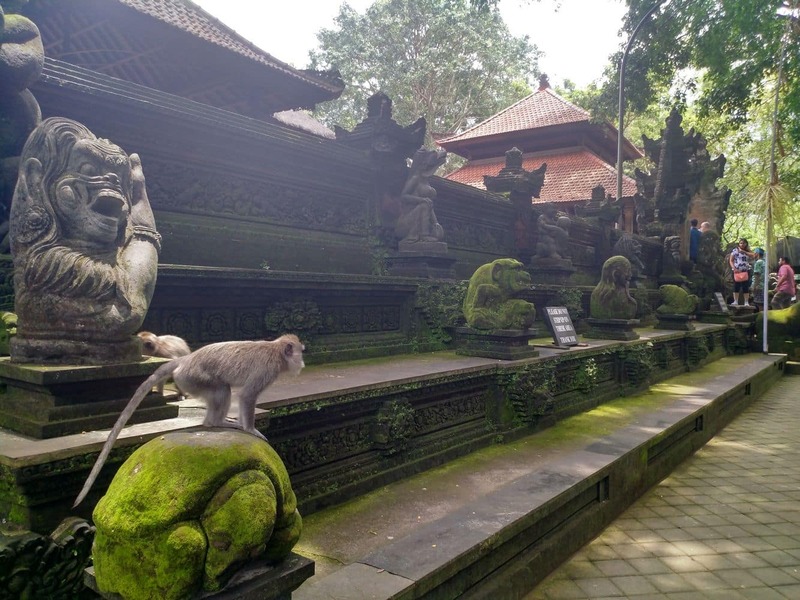 The Monkey Forest is a natural reserve and Hindu temple which is home to a large population of macaques monkeys. 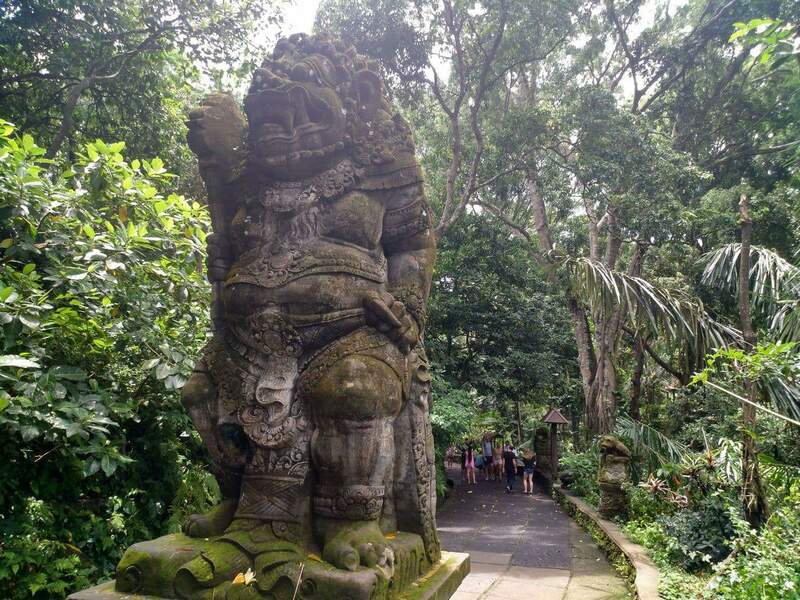 Popular with tourists, this is one of the most famous attractions in Ubud. 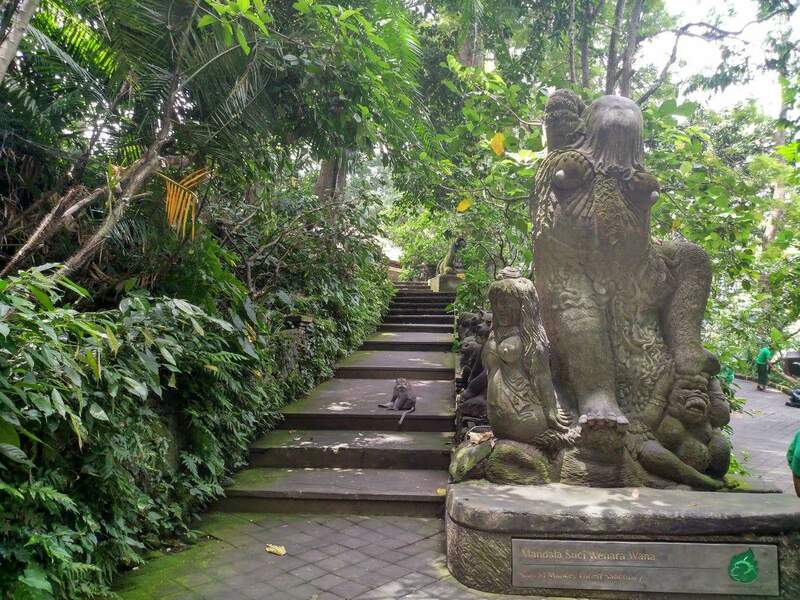 There are three main temples located here including Pura Dalem Agung Padangtegal (the main temple) which is located on the southwestern side of the park, Pura Beji in the northwestern section of the park and the “Holy Spring” bathing temple. 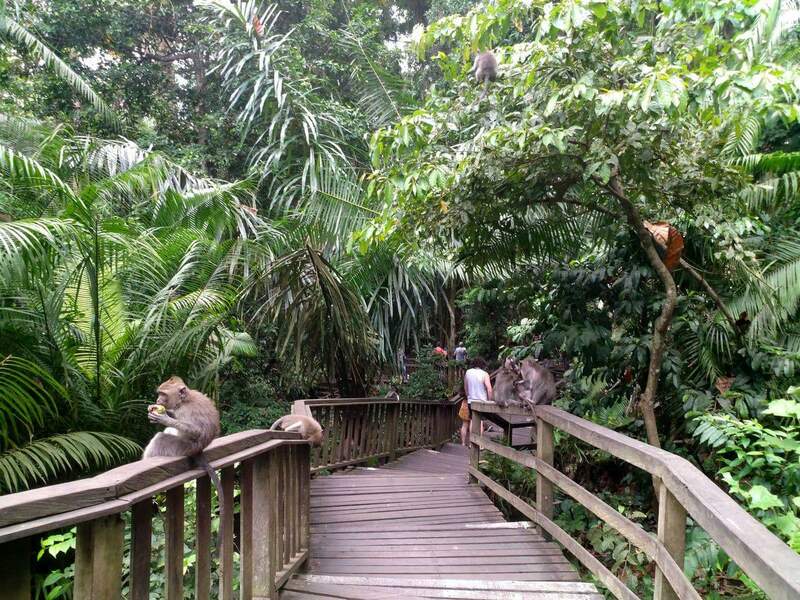 Take a walk along the paved paths through the forest and see the monkeys as they play, mate, fight, groom and care for their young. 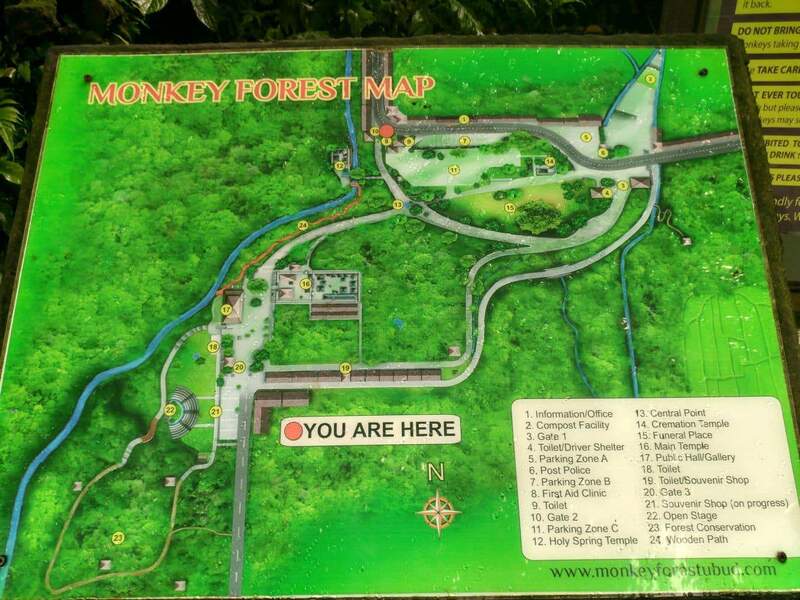 Visitors are advised to stay to the paths so as not to disturb the forest and the monkey’s habitat. 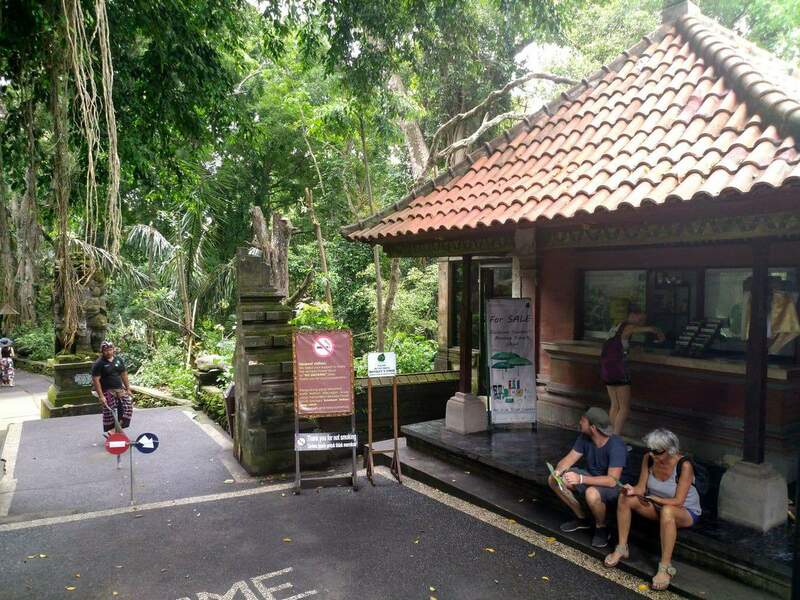 The monkeys are fed each day by the park rangers, however, visitors are able to purchase bananas to feed the monkeys if they wish. Do not feed the monkeys any other food as it is not good for them. Some advice: the monkeys will approach you if you have food or if they think you are hiding food. Some monkeys won’t hesitate to grab you or jump on you if it means they can take your food. 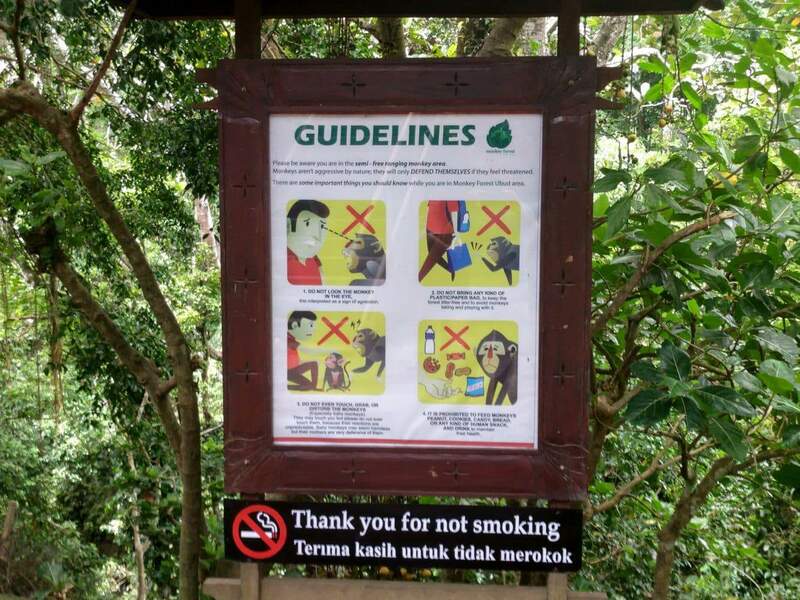 If you do not wish to be approached by monkeys, simply don’t bring any food into the park. 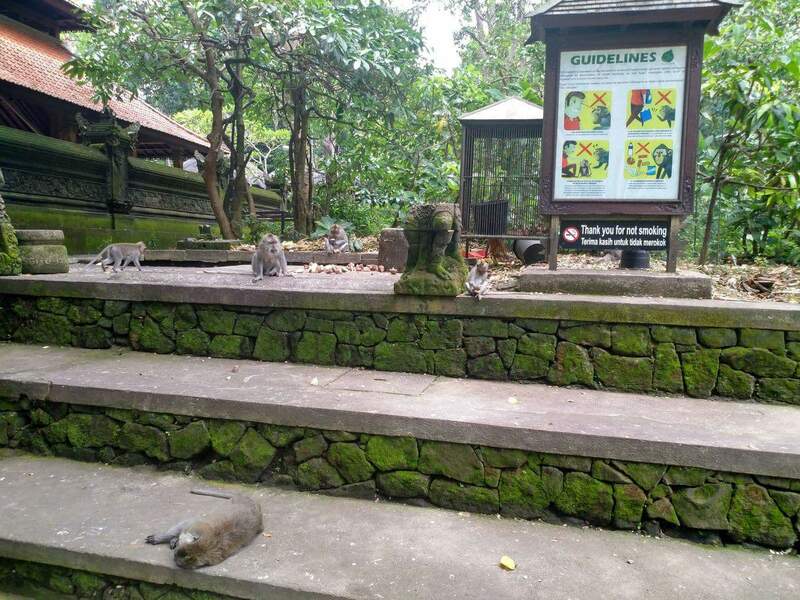 Do not try and pat the monkeys, they are wild animals and may act out aggressively. 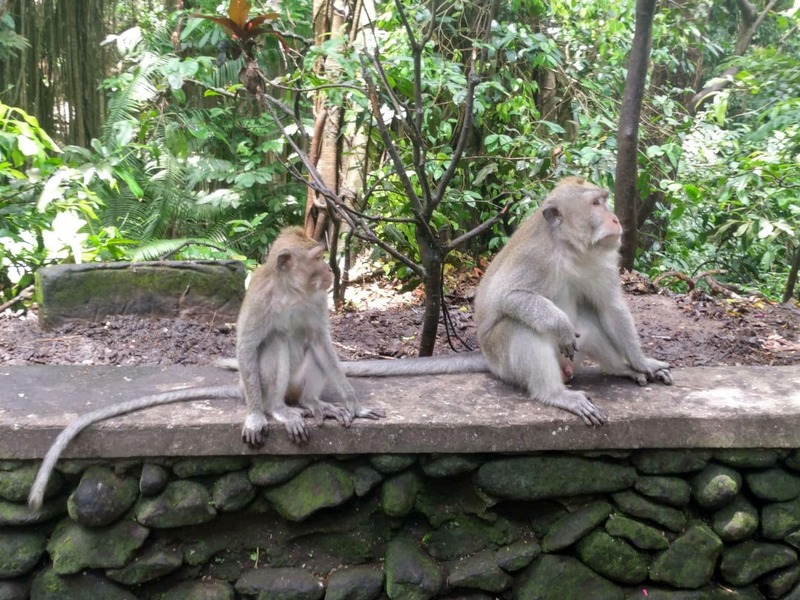 However, you can get up close to most monkeys and sit next to them to take a photo. Most monkeys are unfazed by people, so won’t react to you most of the time. 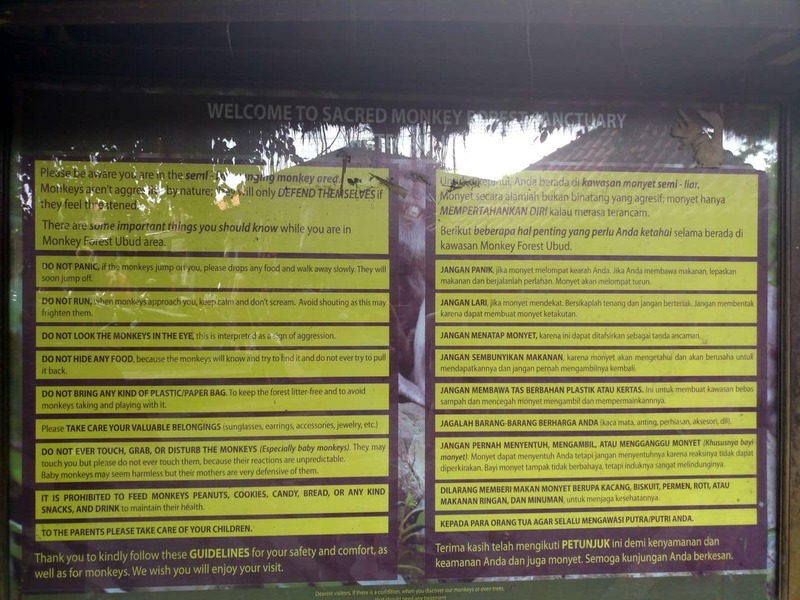 Entry fee to the Monkey Forest is 40,000 IDR for adults and 30,000 for children. Hello, I’m from Italy I would like to go with my boyfriend to Bali from the end of June to the second week of July. Now, I was wondering, how organize my trips without asking for a complete tour operator (with flight, hotel and tour guide)?. A friend of mine told me that you could be the best case for us because we would like to book some attractions from here (Italy). So how do you organize everything? 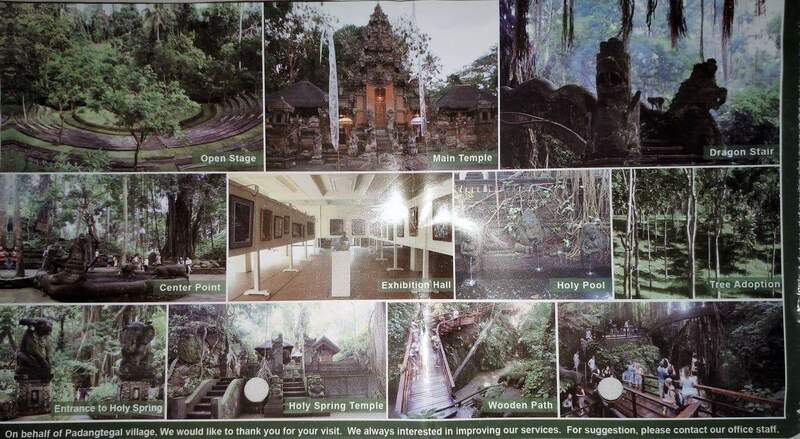 The place to visit, the period, and do you have some package already done for tourists? Thank you for the answer! We aren’t a travel agency, so don’t offer tour packages. 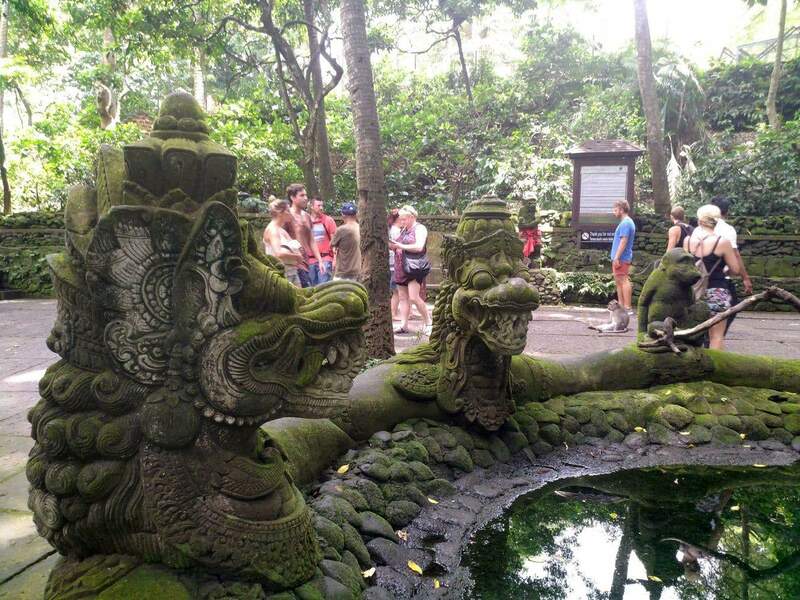 We are an information website which aims to tell people about all the great things to see and do in Bali! 1. Accommodation – we use Booking.com. Just input your dates and it will give you a range of options for your stay. 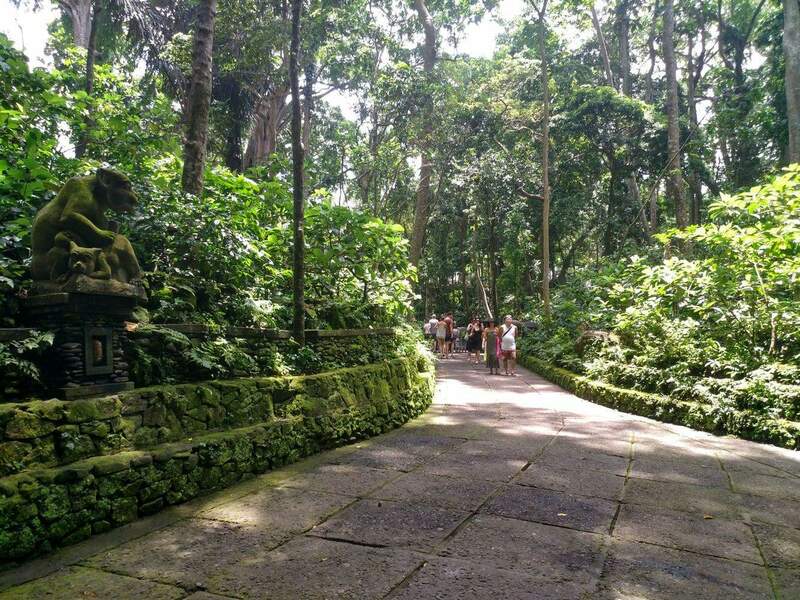 Most tourists select either Kuta (main tourist/party hub), Seminyak (a little less touristy but more expensive), Ubud (where the Monkey Forest is located) or Lovina (north of the island). Depending on how long you wish to stay, you might want to visit a few places during your trip. 2. Tours – we use Go Voyagin. 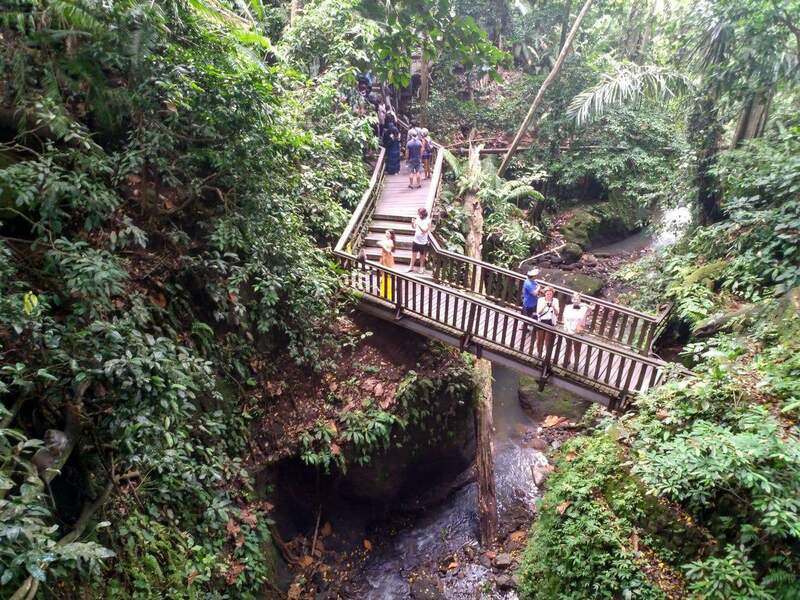 Here you will find temple tours, boat tours, eco tours and full day tours to volcanos, rice fields and the like. Depending on your tastes, there are also cooking classes, horse riding, art classes and so much more. So check out these links, you can make up your own holiday often for a lot less than a tour operator if you are prepared to spend a bit of time researching. Have a wonderful time in Bali!